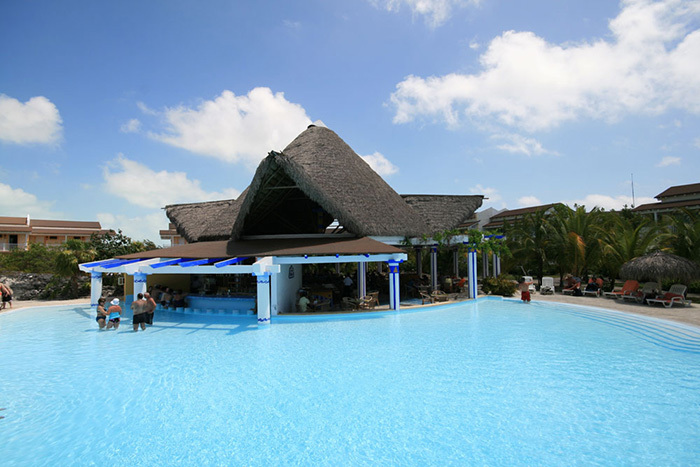 Cayo Largo is in the South Central region of the Cuban Archipelago. Live your dream by fishing crystal clear flats for bonefish, Tarpoon and Permit. When you arrive in Cayo Largo you will be surprised to find a natural environment that practically has not changed at all since the world began. Bonefish is the most abundant and popular of the flat species. Tarpon rate as the strongest, most acrobatic and most exciting saltwater species on the fly. Other than the Florida Keys, this is perhaps the best place in the world to catch a big permit on a fly. Jack crevalle these fish are noted for their speed and aggressiveness to grab popper flies. Barracuda is another regular of the flats and reef. Mutton snapper this may very well be the best eating snapper of all. Snook Cuba has some pretty big snook particularly in some of the river mouths. In cooperation with Avalon fishing center, we can now offer this fantastic destination. Probably one of the best saltwater destination in the world. Live your dream by fishing crystal clear flats for bonefish, Tarpoon and Permit. In the evenings our personal chefs prepare some of the best food you have ever tasted. Cayo Largo is in the South Central region of the Cuban Archipelago, one of the last virgin spots left on the planet. Here nature was prodigal in its gifts: beaches and more beaches in its 17 miles (27 Km) of length. But as if surrounding it with fine white sands was not enough. Cayo Largo was given the gift of being eternally caressed by clear and gentle water of incredible hues of blue. The bottom scenery is incredible around the coral reef that links the chain of islets around Cayo Largo like an underwater bridge. 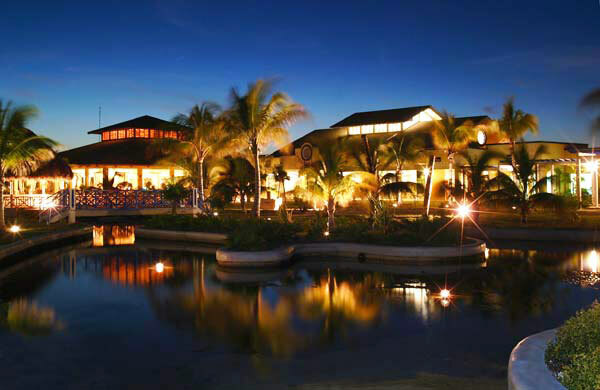 You will find all your favorite water sports on this island. Scuba diving lovers will be amazed by the explosion of color in this underwater world. Cayo Largo owes its name to its elongated shape. Around 1494 admiral Christopher Columbus touched upon it during his second voyage to Cuba. It is also linked to the large groups of pirates that used to roam the Caribbean Sea. In this islet, nature shares a well-kept secret. 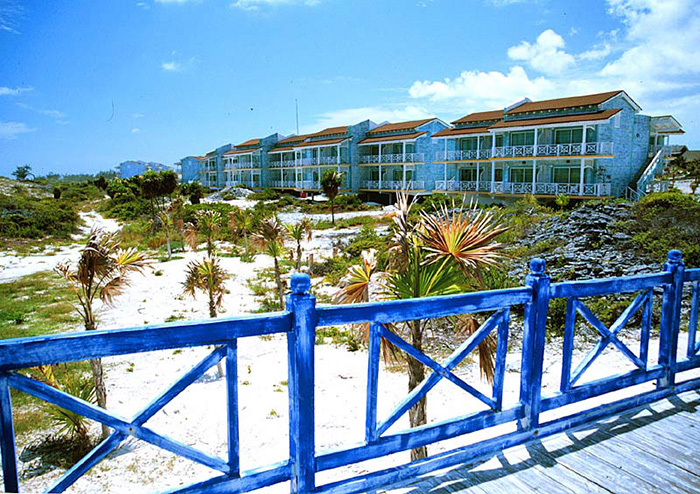 It has coral reefs and is complemented by neighboring keys inhabited by numerous species of flora and fauna, among them iguanas, pelicans and turtles. These are the most abundant and popular of the flat species. The average weight is about 6 pounds but bigger specimens are caught, especially in the winter months. Fishing is either from the skiff or by wading. 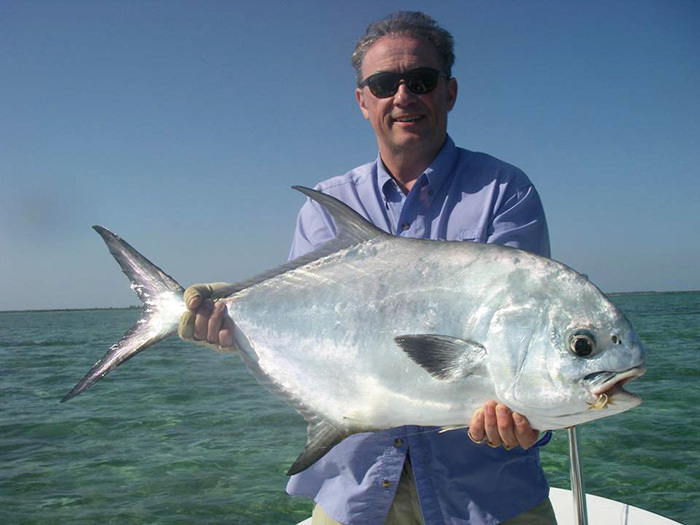 While wading the vast stretches of firm sand flats, in Carribean warm waters, there is nothing more exciting than stalking and catching a "bone". Tarpon rate as the strongest, most acrobatic and most exciting saltwater species on the fly. A large number of tarpon are resident year round in Cayo Largo tidal channels and flats with migrating fish showing up in April until August. Their average weight is from 15 to 30 pounds, but fish up to 120 pounds maybe encountered and some large fish have been caught over the past seasons. They are in the area all year long but tarpons over 50lbs are usually found from March to August. Other than the Florida Keys, this is perhaps the best place in the world to catch a big permit on a fly. There are both good numbers of big permit, and superb permit flats to be found in the JDR. Flats that are barely out of the water, or just below the surface at low tide are two to three feet deep on a high incoming tide - perfect habitat for the largest permit. Many of these flats are bordered by deep water- exactly the same kind of conditions you see in the Florida Keys where most of the world record permit have been caught. It is not uncommon to pole up to these flats and see a half a dozen permit tailing, all of which are in the 25-35 pound class! The Jardines de la Reina is one of the few spots in the world where you have a very real opportunity to catch a grand slam - any day of the year! These fish are noted for their speed and aggressiveness to grab popper flies. They are mostly found from March onwards on the sandy flats around the main island. They are considered a primary target for sight-fishing. Barracuda is another regular of the flats and reef species like Snapper, Grouper and Cubera are also worth a try. Barracudas: "Big Cudas are plentiful around all the bonefish flats. Most will be three to four feet long, and will give any fly angler a terrific fight. Their aggressive take is exciting and few fish can swim faster or jump farther than a big barracuda. They are easy to catch on the many good needlefish patterns, using a wire leader." "This may very well be the best eating snapper of all! A fantastic texture to the meat with high fat content that gives the incredible eatability. The letter "M" is the ticket. They bite best between March and May. They bite best in the morning. Now don't go by this as gospel, because they can be caught all year long, and any time of day. Muttons can be caught from the edge of the flats out to almost 300 feet of water. You can tell where they were caught by the color. Muttons will school on patches, reef, natural, and man made structure. They aren't usually found in large numbers, but how many muttons do you need when they run in the 10-30 pound range? They will eat both live and dead bait, including ballyhoo, cigar minnows, pilchards, crabs, and jigs. Keep you leaders long, hooks small or hidden and your tackle appropriate for the job at hand". "Cuba has some pretty big snook particularly in some of the river mouths. These very aggressive predators generally hide in mangroves or other shaded areas waiting for bait to pass. Snook in Cuba tend to be pretty large, once the fish strikes they tend to run for cover and will normally have to be prized out patiently"